The fourth of July celebrations in Annapolis this year were phenomenal. 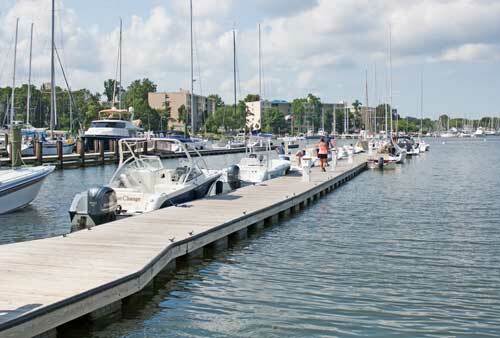 Dozens of Boatel boats lined the docks in preparation of the festivities for the holiday weekend, even with the threat of foul weather as Hurricane Arthur moved up the coast. Luckily, it missed us. The 4th was sunny and breezy, but after late afternoon the breeze laid down enough for the firework show to begin. Hundreds of boaters anchored out from the mouth of Back Creek all the way to the Naval Academy Bridge…quite the site in itself! BJYY was also a hot spot to see the show, as the fireworks could be viewed to the Northwest right over Eastport. The rest of the weekend was absolutely a beautiful one and overall, this season is turning out to be perfect for boating on the Bay. Cheers to summer!